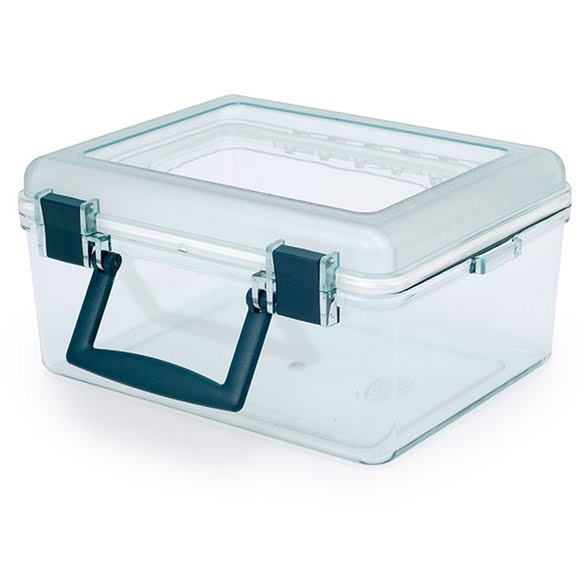 Watertight and crush proof, GSI Outdoors Lexan gear boxes keep valuables and essentials safe and sound through almost any conditions. Made of virtually-unbreakable, food grade Lexan resin. Dual lash points to secure box. Dimensions (packed) 11.00" x 8.90" x 5.20"